September 30: Cry the Warning! The following is part of a sermon preached by Dr. Franklin Pierce Ramsay on June 13, 1926, in his son’s pulpit at Calvary Presbyterian Church of Staten Island, New York, some three months before his lamented death on September 30, 1926. 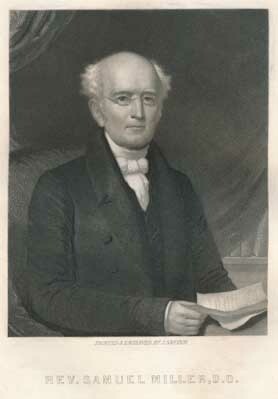 Dr. Ramsay was himself a member of the Southern Presbyterian Church [properly the Presbyterian Church, U.S. or PCUS, by its initials], and author of an esteemed commentary on the PCUS Book of Church Order. He was born on March 30, 1856 and educated at Davidson College, Johns Hopkins University, the University of Chicago (Ph.D.) and Columbia Theological Seminary. In his forty-five year career, he served as pastor of at least six Presbyterian congregations and also as president of several colleges, including King College, Bristol, Tennessee. In retirement, he resided with his son on Staten Island, and as we shall see, took the opportunity to attend the General Assembly of what was often called the Northern Presbyterian Church. So moved by what he observed there, he secured permission to bring a sermon before the congregation pastored by his son. by the Late Rev. Franklin P. Ramsay, Ph.D. The report was adopted almost unanimously. I was present. The report made a profound impression, and gave general satisfaction. Nevertheless, I fear that the church is headed toward a most dangerous conclusion. The conviction did not come to me while I was under the spell of the report, but since I have come to reflect upon it. There are three evils in the church to-day, against which I lift a voice of warning. First. I warn against the suppression of discussion. There is a general impatience with controversy. It pervades the atmosphere of the general public. And there is especially the strongest prejudice against “heresy-hunting.” This feeling has broken down discipline in the church generally. Even when it comes to licensing and ordaining ministers, there is a restless impatience with those who seek to guard against admitting unfit men into office. When there is so widespread and powerful a prejudice against discussion and against the prosecution of heresy, the cry for peace rises loud above every other cry. In words, this commission was to aim at “the purity, peace, unity, and progress of the church”; but it is commonly spoken of as the Peace Commission, and never as the Purity Commission. And by peace is too often meant the doing away with discussion, debate, controversy. And now that the party opposed to discussion has control of the machinery of publicity, we see how those who would protest are silenced. This sermon, for instance, could not hope to get itself published in two of the three church weeklies; the man who is preaching it could not hope to get a half hour to present to his presbytery his reasons for fear of danger to the church. It would have been impossible at the General Assembly to adequately discuss this report. Agitation is under taboo. And men in high positions in the church are well aware that for them to take an active part in controversy would endanger their positions; and prudence pleads powerfully for silence. But is controversy is suppressed, the truth is suppressed. Discussion, full and open discussion, is the way to truth. It is true in science; behold the controversies in every department of scientific inquiry. It is true in politics. Our own political institutions originated and were shaped in prolonged debate, and are based upon the principle that political wisdom emerges only from the contributions of many minds to the discussion of the questions involved. And in religion, the dead Church of England protested the agitation of the Wesleys; but it was that agitation that saved England from the dry rot of a formal piety. The Church of Rome sought to suppress the Reformers; but the Protestant Reformation burned to flame and light in debate. Luther was temperamentally unfit to conduct such a discussion; and Calvin was harsh and merciles to opponents, so much so that, if one like them should arise in the Presbyterian Church to-day, he could not get appoints as a secretary of one of our Boards or confirmed as a professor to one of our seminaries. What would become of Paul who was uncompromising in his controversies with the advocates of another gospel? And our Lord himself, who spent his ministry largely in combatting the heresies of his day, and was sent to crucifixion by enraged ecclesiastics for disturbing the peace with his fierce denunciation of error, would he to-day be dumb and sweet when the greatest intellectual battle that Christianity has ever known is on? It is a pity that men must fight this battle out to a finish, imperfect men, with imperfect tempers, and making many mistakes; but so it must be. So let it be. The truth must not be betrayed by a conspiracy of silence. Let every man speak who is not afraid; and let the timid get courage from the Christ that was crucified. Do not misunderstand me. I believe most heartily with the Assembly that all controversy within the church should be conducted in humility, in a most earnest effort to understand, in a horror of misrepresentation, and with a desire to promote the truth in peace. Let all mis-statement and all ill-feeling be put away. But let us discuss among ourselves as brethren the questions at issue, endeavoring to reach agreement by reaching the truth; and if we must disagree, to disagree in love. First purity, and then peace. Second. I warn against the abolition of the Constitution by construction and non-use. What I mean is this: “Changes in the meaning and use of language and diverse understanding and interpretations of the same words have led to much confusion and uncertainty. Some are disturbed because they believe that others are departing from the faith while making use of its forms of speech, and some are disturbed because they believe that they are accused of such departure, though they declare that in their own consciences they are confident of full loyalty to all essential truth.” So says the report, and says truly. The same words may be used by two men in very different senses. And so a united church may go on saying the same words, but using the words in quite different senses. But that is not all. Men can use words without intending thereby to express any definite meaning. How easy it is to recite the Lord’s Prayer in concert; but how little do we really understand and mean what we say? So the creed formulated in our Constitution may become a form of words, accepted as a form of words, but not expressing present and living beliefs. Still worse is the intentional use of words without intending the meaning which they properly signify. Thus people and ministers recite the Apostles’ Creed, “I believe in the resurrection of the body,” when they do not believe in the resurrection of the body, but only in a sort of spiritual continuance of life, and intend to say one thing when they mean another. This is called accommodation of language for the sake of venerable association by some; by others it is called lying for convenience. Now the danger that threatens the Presbyterian Church is that it will keep its creed unchanged in form while ceasing to believe it. Some will believe it, some will say it without definitely believing anything, and some will intentionally say what they do not believe for the sake of continuing in the church. This species of immoral deception, largely self-deception and to some extent intentional falsehood, is the peril that lies before us. When discussion is suppressed, this disease can grow, till the moral honesty of the church is eaten through. There are influences that are making for this result. One is the effort to prevent debate, and to put all controversy under taboo. Another is the demand for unity. Ours is the largest Presbyterian Church in the country or in the world; and we are impatient to grow larger still. There is a demand for a more inclusive church, for the breaking down of denominational barriers, for uniting separated denominations into one denomination. We are told all Presbyterians ought to be one. The passion for unison persuades itself that it is the Christ-like thing and is always speaking of the good that will come when unification is accomplished. This devotion to unification is horrified at the thought of division, and will endeavor to keep our great church together. In such an atmosphere, when it is impossible to persuade the church to make a change in its Constitution consciously and formally, it is possible to really change the Constitution in its spirit without changing it in words, and silently to bring about a departure from what has been believed, to some new doctrines, until unawares the church shall have ceased to be distinctly Calvinistic, militantly Protestant, or consciously evangelical, shall have ceased to be Trinitarian and loyal to the Scriptures, and shall have become really Unitarian. And Third. I warn against the church’s forsaking its proper function of preaching and teaching the gospel of salvation through the blood of Jesus Christ and becoming simply a humanitarian society of co-operation for social reform. Take this last Assembly. The one thing which stirred the greatest enthusiasm, and brought the thousand commissioners to their feet cheering, was the declaration of the moderator that he stood uncompromisingly for the Eighteenth Amendment. Now this is a political expedient for a social reform, an expedient that has never before been tried and is therefore a political experiment; and personally I myself believe in carrying the experiment through to ultimate success by thorough enforcement; yet I see clearly that it is a political experiment for a social reform, and it is not the business of the church as such to favor it. Yet the Assembly was hot for this political good. And I attended a dinner given by leading Presbyterians in one of our cities to outgoing missionaries. With the exception of one speech and faint notes in one or two others, I heard nothing of the passion for souls that must forever be the great motive of missionaries of the cross of Christ. The dominant thought was uplift of backward peoples by giving them the elements in which our civilization may be superior to theirs, a sort of Near East Relief. But the burning zeal to herald a crucified and risen Christ to men dead in their sins did not speak out. I am raising my feeble voice with little hope of turning the tide. The controversies of the past have resulted one by one, in lowering the standard of orthodoxy and liberalizing the Presbyterian Church, and that with little formal change in its Constitution. It has gradually and insensibly moved in the direction that I have pointed out, toward looseness of creed, toward a lessening vitality in its distinctive work of witnessing for Christ, and toward a broader interest in causes that lie outside of its proper work. And this is not true of the Presbyterian Church alone. It is true of the Methodist Church, which has done so much by its zeal for Scriptural holiness to bring the millions to a personal acceptance of Jesus Christ; for it will be generally conceded that the great, the rich, and the cultural Methodist Church of to-day is inferior in spiritual life and evangelical zeal to the Methodist Church of a century ago. So of the Congregational Church. Behold, how its Harvard has gradually passed from being the nursery of orthodoxy to being the garden of Unitarian laxity! The trend of the times is toward laxity of dogma and comprehensiveness of activities. Creeds are left dead on the field of history, though not always buried; and controversy about doctrine is ruled a thing of the crude ages that have gone by. To this stage the Presbyterian Church is moving, and at this stage it will arrive, unless it can be awakened before it has been put to sleep on the grave of its glorious past, its past when its elaborate creed was its treasure, and its zeal for gospel truth was its pearl of price. I am well aware that my voice will not carry far. But it is my mission to cry the warning, whether it shall be heeded or not. It may be that some abler man will come to the kingdom in this critical day, some younger man O Luther, come, and rouse the church with your zealous witness and your lashing tongue! O Calvin, come with your relentless logic, and save the day when the battle is turned toward the gate! It is a day of crises; God raise up a man of war! Peace? Who is crying Peace, peace, when there is no peace? Brethren, there is such a thing as righteous zeal for truth, for soundness in the faith, for right dogma; and woe be to that church which for the sake of an illusive peace silences honest testimony, and dopes itself with sentimental devotion to union. The price of sound doctrine is eternal vigilance, and the ceaseless ringing of the alarm bells in the night. And victory will yet come. The people of God may be enslaved in Egypt, may be corrupted in Palestine, may be rent asunder from about their temple of glory, may be carried into captivity, and may be given over to lifeless formalism. They may come to have so little of real truth that they shall be so blind as not to know the Christ when he comes. But there is the True Witness, and there is the resurrection from the dead. I shall not live to see the decadence of the church which I fear, much less the revival of dogmatic truth afterwards. But the revival will come. For Jesus Christ is on the throne, and sheds forth His Spirit of light and truth. His gospel will live. The battle may be long, and the weary hours may move and the splendor of truth will shine forth. If we cannot speak in the high places of influence for the truth, we can live it; if we cannot lead, we can follow; and if we cannot wield the sword for truth, we can pray for the battle thundering afar. p style=”text-align: justify;”> Samuel Miller was definitely number two among that faculty of Princeton Seminary that year of September 29, 1813. Started only one year before, Archibald Alexander was the first professor of the Presbyterian Seminary with only a handful of students. As another war with Britain was raging (the War of 1812), it was a trying time for a smooth start. On top of that, the students of Princeton College were anything but spiritual. College pranks had brought the college close to shutting down. Samuel Miller, fresh from a pastoral experience in a city church, would arrive on the campus and quickly became a force for spiritual good at both the seminary and the college, even in his position as Professor of Ecclesiastical History and Church Government. September 28: Where Were They Educated? If you will pardon a bit of a digression today, the question sometimes comes up regarding the theological education of the founding pastors of the Presbyterian Church in America. Working from a list of 180 pastors, as found in the Minutes of the First General Assembly, the following list indicates where these men were educated. Of those 180, 172 were educated at seminaries; for 8 no indication has been found of a seminary education and this raises the question of whether those 8 were ordained under the extraordinary clause. Numerically, most of the PCA’s founding fathers had attended Columbia Theological Seminary, where Manford George Gutzke and William Childs Robinson were on the faculty. These two stalwart conservative professors effectively mentored those who would become the future leaders of the denomination. Westminster Theological Seminary was something of a draw for confessional students, but I’ve come across some mention of resistance to hiring pastors who had graduated from a “Yankee” school. 5 – Austin Presbyterian Theological Seminary, attending there in 1929, 1939, 1942, 1951, 1953.
p style=”text-align: justify;”> The Presbyterian pastor-teacher was a wanted man, that is, wanted by theological seminaries to teach at their school. Princeton Seminary wanted George T. Purves to teach church history on their faculty. Western Seminary wanted the scholar to teach theology. McCormick Seminary in Chicago want the veteran pastor to teach theology on their faculty. But the heart of this Princeton Seminary alumni was in New Testament, so when a vacancy opened up with the death of Caspar Wistar Hodge, he came to Princeton Seminary. In 1900, Rev. Purves resigned his professorship in New Testament at the seminary to return to the pastorate. When he was a pastor Dr. Purves was sought by the seminaries, and when he became a professor he was besieged by the churches. B. B. Warfield said of him, “He was never more the profoundly instructed scholar than when he stood in the pulpit: he was never more the preacher of righteousness than when he sat in the classroom.” During his eight years at Princeton, Purves taught New Testament and preached regularly, serving for a time as pastor of the First Presbyterian Church in Princeton. 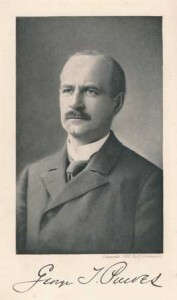 During 1897 the church experienced “a year of prosperity greater than at any previous time” in its history and credited this to “the very faithful and efficient labors of Dr. Purves.” In 1899 Purves accepted a call to the Fifth Avenue Presbyterian Church in New York City (once served by J. W. Alexander). After a short ministry there of eighteen months he died in 1901, at the age of forty-nine. Paul exhorts the Thessalonians: “Stand fast and hold the traditions which ye were taught whether by word or by epistle of ours” (II Thessalonians 2:13). He reminds the Romans of that “pattern of doctrine which had been delivered unto them” by teachers other than himself (Romans 6:17). A fragment of the original formula or belief is preserved in I Corinthians 15:3f. This confessional formula “was made known to Paul already at the time of his baptism” (Cf. I Corinthians 15:3f. with Romans 6:3f.). Professor R. Seeberg says that “the primitive Christian ‘traditions’ (I Corinthians 11:2; cf. ‘first principles,’ Hebrews 6:2) offered more or less fixed formulas and traditions of the faith and moral life.” “Thus over against the freely working spirit principle, the individualization of inspiration and enthusiasm there stood from the beginning a structure of fixed representations, doctrines, regulations, morals, usages, historical authorities. The interworking of these two features made possible an ordered historical development. The form did not remain an empty form, but the personal experience gave it content; on the other hand, the experience did not become a formless enthusiasm but inclosed itself in the forms of the primitive knowledge of Christ. (1) The Formula of Belief. In the case of Jewish converts this was chiefly “the things concerning Jesus” (Luke 24:19), the “elucidation and defense of the Gospel facts.” In the case of the Gentiles it certainly included the Jewish catechesis concerning monotheism (Hebrews 11:6, Romans 3:30). R. Seeberg offers ample New Testament evidence to show “that to this belonged also the triadic formula,” which “trinitarian belief in God” rests on the revelation which Christ made during the forty days.” “The words of faith,” I Timothy 4:6, gradually crystallized into the Roman symbol, the primitive form of the Apostles’ Creed. This “pattern of sound words” was taught the neophyte just before baptism, and was confessed by him at that sacrament. (2) “The Ways,” I Corinthians 4:17, or “how one ought to walk and to please God” (I Thessalonians 4:1). This “sound teaching” was a rule of morals, a catalog of virtues and vices which became the “Two Ways” of the Didache. (3) Instruction concerning the new life of Christian fellowship or “how to conduct oneself in the Church of God” (I Timothy 3:15). This included the formula of baptism, the words with which Jesus instituted the Lord’s Supper, the Lord’s Prayer, the gift of the Spirit, offices, ordination with the laying on of hands, and other instructions concerning the work, worship and discipline of the Church. Even a cursory examination of this outline will show that Calvin and the Westminster divines were but following the apostolic example in placing the Catechism in such prominence in the Church. The Westminster Catechisms follow with remarkable exactitude the lines of catechesis marked out by the primitive Christian Church. In teaching the Shorter Catechism parents and teachers are following directly in the footsteps of Paul and Mark and the host of unnamed teachers who brought victory to the Christian banner in the first four centuries. Our Catechisms have that noble fourfold balance which is evident in the Catechism of Primitive Christianity. They take account of the four elements which Professor Pratt attributes to a sound religious consciousness, i.e. (1) the “traditional” or “historical;” (2) the “rational” or “intellectual;” (3) the “volitional;” and (4) the “mystical.” They minister to faith, duty (love), worship, and hope. The Shorter Catechism includes Professor F.L. Patton’s comprehensive summary of religion: Creed, code and cult. It feeds head, hand and heart. Its emphasis on the commandments opposes exaggerations of Gospel grace which become antinomian. On the other hand it gives those great “concentrations of theology” toward which the student mind is now turning wearied by the “unreality” of that trinity of nothing but war, race and industry with which Sherman Eddy and Kirby Page have plied them in the summer conferences. Dr. C.E. Burts, prominent Baptist divine and dry leader, expressed the regret that his denomination did not have the equivalent of the Presbyterian Shorter Catechism. And yet we have not used as we may this great asset. 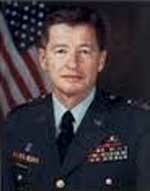 Among the American soldiers, Dr. W.A. Brown found that only the Roman Catholics and the Lutherans knew the common tenets of Christianity. The former had learned them in the parochial schools; the latter in the catechetical classes. At the Jerusalem Congress Professor Hocking protested against the pedagogical error that the young mind could not comprehend metaphysical truth. After teaching theological students six years, I can testify that my theological classes have brought me no more metaphysical questions than have been raised by two young minds in my own home. Dr. Lynn, of Thornwell Orphanage, declares that it is easier to preach doctrine to the children of his orphanage than to the business men in the First church of his city. The children respond; the business men are preoccupied. It belongs to the minister’s office, “to catechize the children and youth.” Jesus’ first command to Peter was not “discipline My sheep,” not “feed My sheep,” but “feed My lambs” (John 21:15). To meet this primary obligation of a pastor I found it necessary to put in a week-day hour of religious instruction in which, with the help of public school teachers, I taught the Bible, the Shorter Catechism and great hymns to the children of my congregation. This week-day hour met such a felt need that it continued to be carried on even during pastoral interims. As a second step in meeting this pastoral responsibility I attended the closing exercises of the Sabbath school and heard each class recite a Catechism answer. One result of this intensive inculcation of the Catechism was that after a long dearth of candidates from the congregation, several of the most promising young men decided to enter the Gospel ministry. Other methods, such as those which are being so successfully used in Thomasville, Georgia, might well be suggested by the respective pastors. Few services will pay greater dividends in time and in eternity than a faithful following of the apostolic and Presbyterian custom of catechizing. 1885 —The earliest found use of the phrase “creed, code, cult” appears in The Religious Aspect of Philosophy, by Josiah Royce. Boston: Houghton, Mifflin & Co., 1885. The Bible, then, which testifies of Christ, is the center and core of that with which Westminster Seminary has to do. Very different is the attitude of most theological institutions today. Most seminaries, with greater or lesser clearness and consistency, regard not the Bible alone, or the Bible in any unique sense, but the general phenomenon of religion as being the subject matter of their course. It is the duty of the theological student, they maintain, to observe various types of religious experience, attested by the Bible considered as a religious classic, but attested also by the religious conditions that prevail today, in order to arrive by a process of comparison at that type of religious experience which is best suited to the needs of the modern man. We believe, on the contrary, that God has been pleased to reveal himself to man and to redeem man once for all from the guilt and power of sin. The record of that revelation and that redemption is contained in the Holy Scriptures, and it is with the Holy Scriptures, and not merely with the human phenomenon of religion, that candidates for the ministry should learn to deal. There is nothing narrow about such a curriculum; many and varied are the types of intellectual activity that it requires. When you say that God has revealed Himself to man, you must in the first place believe that God is and that the God who is is One who can reveal Himself, no blind world force, but a living Person. there we have one great division of the theological course. “Philosophical apologetics” or “theism,” it is called. But has this God, who might reveal Himself, actually done so in the way recorded in the Scriptures of the Old and New Testaments? In other words, is Christianity true? That question, we think, should not be evaded; and what is more, it need not be evaded by any Christian man. To be a Christian is, we think, a truly reasonable thing; Christianity flourishes not in obscurantist darkness, where objections are ignored, but in the full light of day. But if the Bible contains a record of revelation and redemption, what in detail does the Bible say? In order to answer that question, it is not sufficient to be a philosopher; by being a philosopher you may perhaps determine, or think you can determine, what the Bible ought to say. But if you are to tell what the Bible does say, you must be able to read the Bible for yourself. And you cannot read the Bible for yourself unless you know the languages in which it was written. We may sometimes be tempted to wish that the Holy Spirit had given us the Word of God in a language better suited to our particular race, in a language that we could easily understand; but in His mysterious wisdom He gave it to us in Hebrew and in Greek. Hence if we want to know the Scriptures, to the study of Greek and Hebrew we must go. I am not sure that it will be ill for our souls. It is poor consecration indeed that is discouraged by a little earnest work, and sad is it for the church if it has only ministers whose preparation for their special calling is of the customary superficial kind. 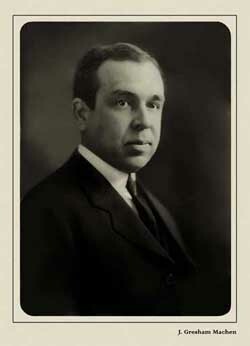 J. Gresham Machen “Westminster Theological Seminary: It’s Purpose and Plan,”The Presbyterian 99 (October 10, 1929): 6-9.
Who made you, child, and bade you live? God did my life and spirit give. Who keeps you safely, can you tell? God keeps me safe, and makes me well. How has God shown the way of truth? The Bible is the guide of youth. How should you act to God above? With fear and honour, praise and love. Does God know all you do and say? Yes, and my thoughts both night and day. Have you and evil heart within? Yes; I was even born in sin. How does your heart its badness show? By sinful words and actions too. Is not God angry when we sin? Yes. Oh how wicked I have been. What do your sins deserve t’ obtain? And can you save yourself from wo? I cannot save myself, I know. Have you the power to change your heart? No; it is prone from good to start. Who, then, can peace and pardon give? Jesus, who died that we might live. What proves that Jesus Christ will save? His life, his cross, his death, his grave. Can none but Christ for sin atone? The blood of Jesus Christ alone. And how may you his grace receive? In Jesus Christ I must believe. Must you repent with humble heart? Yes, and from every sin depart. From God what blessings should you seek? Lord, save my soul for Jesus’ sake. Should you love Christ, who was so good? Oh yes, with all my heart I should. Did Christ become a little child? Yes, holy, humble, meek and mild. What did his early his’try shew? Jesus in strength and wisdom grew. What was foretold of Jesus’ grace? The Lambs he’ll on his bosom place. And were the young thus loved and blest? Christ took and clasped them to his breast. What did Christ say, though young we be? Let little children come to me. Does Christ still view the young with love? Yes, on his glorious throne above. How should a child begin to pray? Lord, teach me what to think and say. Will God regard the hymns you raise? Yes, Jesus loves an infant’s praise. Who only can direct your youth? The Holy Spirit, God of truth. Must you of ev’ry lie beware? Yes, with most strict and constant care. Must you all evil tempers flee? I must not in a passion be. Must you your book and wisdom prize? Yes, I must be both good and wise. How must a child to others be? As I would have them act to me. What must you to your parents shew? Obedience, love, and honour too. What must your brother(s)* in you find? A heart that’s always mild and kind. Must you your sister(s)† always love? Yes, and be gentle as a dove. How must you act to all you know? I must all love and kindness know. Do little children often die? Yes, quite as young and strong as I. Yes, and will fix their endless state. Where shall the wicked sinner dwell? With everlasting flames in hell. What should you wish if call’d to die? To be with Christ above the sky. Where will good children ever be? In heav’n, their Saviour Christ to see. To read more about this ministry, now led by CH (LTC) Jim Carter, RET, click here.